The idea of this post is to serve as a one stop solution for the Best Blogger Templates. All of them are Free! We have provided you the links for download and demo, so you can easily go and integrate them in your blogger blog. Blogger is a blog publishing tool which like all other Google products is free and provides an amazingly intuitive user interface. Starting your own blog is a piece of cake, where you just need to setup a domain name and start posting. However, it is vital for your blog to look neat and professional. Google does provide you with the basic blogger templates, but the best part is that you can customize your blog and add whichever template you want. As you would imagine there are thousands of free templates out there (there are paid themes too), choosing the best one would be a very tedious and painful task. What makes this list so special? 25, i except this theme only! The Retro Mac is very clever. It reminds me of an Atari ST retro site design. These are really nice. Thank you. Thanks, nice templates. I don’t use blogger but I am really impressed with few of these themes. i Appreciate your great effort! Some of them are really nice. As I am on blogger platform I always looking for a great one. Great list. Thanks for the eBlog Templates mentions! I have been looking all over for something like this, my blogs need a makeover. Thanks for the free eBlog Template. This is what I was looking for in my new blog. Very nice templates. The best place for free Blogger templates I’ve ever found online. Thanks a bunch. Fantastic list! Thanks for taking the time to compile these. I used one for my Utah Jazz Blog. I’ll definitely be back to pick one for my next blog. um… i really love the “top secret” one but the link doesn’t work and there’s a photo-bucket thing in the corner… if you happen to be able to fix it could you e-mail me? haleymathiot at yahoo dot com thanks!! Thank you for the lovely Templates. Please advice how I can use them for my blog http://www.ow.ly/suXA or other blogs in the future. I was wondering when someone would create a list of top 50 templates suitable for class blogs. Especially ones that would be interesting for children between 8 and 12 to look at along with their parents. The big thing that we have trouble with when we change templates for our class blog is that there is no support for the template when we hit a snag. So not being very tech-savy, it turns – what should be – a relatively simple job into a nightmare. @SecaAracely: Thank you for introducing my theme, I hope can introduce an International version in November with more features. please let us know also that how can we customize it, i mean some of buttons or links? this is a wonderful collection: thanks! XML error message: The value of attribute “href” associated with an element type “null” must not contain the ‘<' character. No idea how to fix that because I do not know how to write code. Please help! Thanks! Im on the lookout for a new template and i gotta say i will probably be here for the next hour trying some of these ! Hi folks.. can some one please guide me how to change the header ad on the right? You have a lot of my favorite templates here. Keep adding more! take care, great job. Very nice. I have browsed almost all the popular sites out there offering free templates, and I admit this is the best set you are ever going to find. fantastic collection. I liked the revolutionary church. It is absolutely amazing. Thank you all of these templates are great!! nice templates, infact i download many of them. thanks for this. Great Collection, used one for my personal blog. Great list, i recently switched but thinkin about goin back to blogspot these are some very nice themes. You must be kidding. Are you serious? Why did you chose the ugliest themes in the world? Great site … perfect layout .. thanks! a blog is best known by its design, any ways ads theme definetely looks like a great professional design . . . Thank for show me the great templates. This is very very nice theme . Many many thanks for making this theme. I would have like to seen something with a fireplcae something that depicts a comfortable mood. What a great designed collection! Thanks for sharing this! Can you tell me how are Adsense Ready Themes different from other blog templates? #119 – Don’t use. Doesn’t work. well this is a great site..
i am just starting this blog..
great work please keep it up. it might be dolls, lightweight dolls. Eles sõa ótimos, mas preciso de gamer template. não encontrei, estou criando o meu. Great template designs but do you have any with animal themes? These are fantastic templates and I will be putting your link on one of my sites. Great templates, I also use it one of them in my blog. I like it because the template is search engine friendly and fast loading. This is very helpful for me and my visitors. Thank for your article and information. Nice list! You should check out the Blissful Blog too. 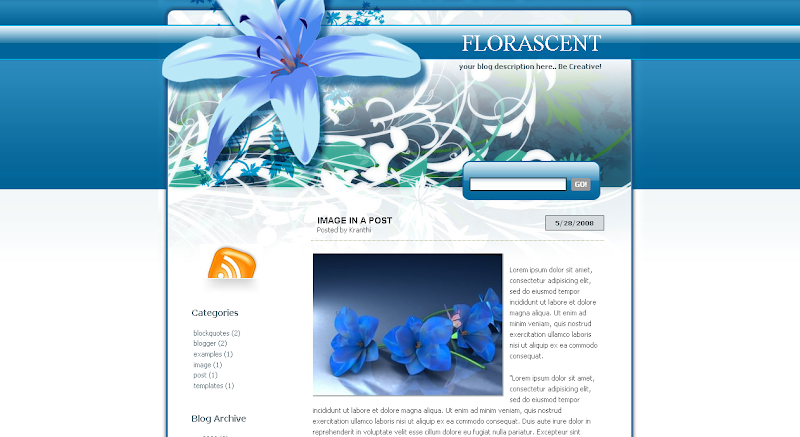 A beautiful and free WordPress 3.0 theme for the wedding industry, http://www.blissfulblog.com. It is very difficult to find professional looking blogger templates but your collection is awesome. I will definitely recommend your blog to my readers who are eager in finding latest blogger templates. Great work… Very Helpful… Thank you very much! Thanks for the sharing. This is what i searching for.. now i choosed 6 templates from this list. awsome post …a big thanks,i was looking for a new template for my blog and now i can see at least 30 i would like to add…thx again man,keep it coming!! I really like the template. Its a wonderful source for templates. i usually use some of the templates for my blog, its easy and interesting to use. 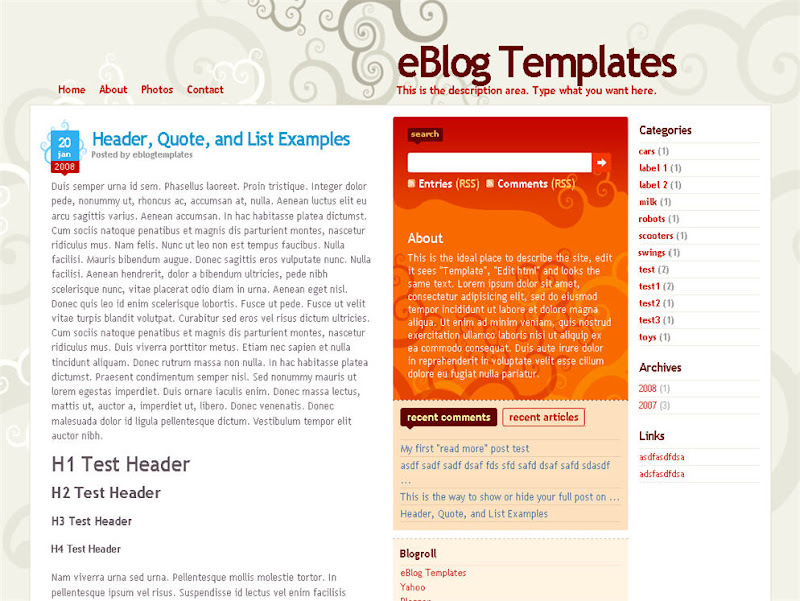 Really nice blogger templates. Think i’m gonna try one out, keep up the good work! All themes are very nice, thanks for sharing them. I have downloaded “color paper”. Thanks so much for sharing free wonderful blogger template! I love your best collections! Art Imagination is the best templates, Its very beautiful. Nice template, but some template’s link was bad, so i cant download it. Nice template, so i cant download it. Great posts, thanks for sharing it !!!!!!!!!!!!!! I have learnt well from this post and make my own design thank to their inspiration. Just going to bookmark your site. These templates really attacted me. I will try on my private web, & recommend my friends. I love your stuff, but I tried to download multiple different ones and nothing would load on blogger it kepts giving me an error: our template could not be parsed as it is not well-formed. Please make sure all XML elements are closed properly. I wish it would work tho. HAving the same problem…just a waste of time! Man lots of options! Thanks. wow thanks for the amazing templates .. does this work on the latest verion of blogger?? Thank you very much for putting up these templates and all the content. VEr useful insight. Cool templates but I would like a template like yours…How do I get it? Thank you, I’m learning how to change my blog template and do updates, your blog was very helpful and you have some wonderful templates! nice, but i only like Classic ProBlogger.. Check My Blog – I have added the simple yet beautiful Blog. Hi.I need a help from you guys here.I have used these templates on my blog but after applying them my navigator bar — the bar with follow , share , next blog buttons disappear.I want to keei it there with the new template.Any suggestions as to how I can get it done ??? Thanks for the information… great! can i download all of them from one folder ? toi rat thich blog cua ban hi cong ban se co nhieu blog dep hon va de su dung hon trong tuong lai khong xa chuc ban thanh cong , minh cung se co gang de lam ra nhung blog chat luong nhu cua ban vay. which I like very much . after some simple modification it satisfied me .Now I am looking for a blogger template with very simple color and design just like wordpress template . very nice thanks for share.. you are the best..awesome !! 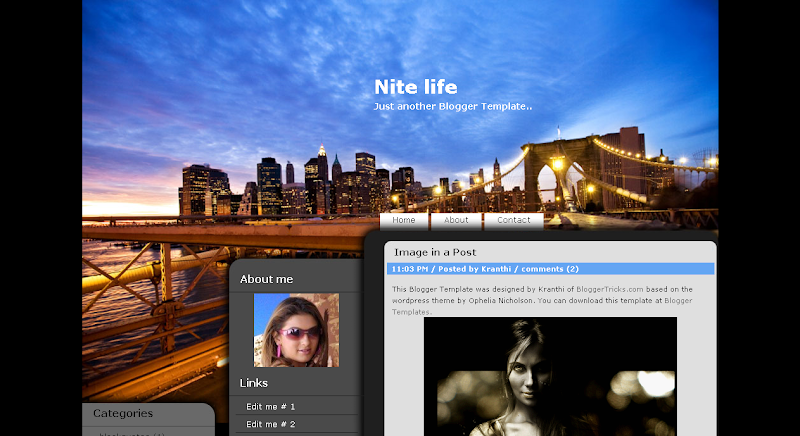 Nice blogspot template. keep sharing!! Your templates are really cool. Thank you for sharing it to us. Great collection. I like #18 and #19, pretty cool for a student like me. wao awesome themes thanks for uploading. This is perfect for me. Thanks for nice post. And…… thanks for sharing. how to use the template?? after download it…what I should do??? how to use the template?? after downloading it…what I should do??? thanks for the templates.i hope there is no base code 64 in the template. wow! a very awesome collection! Im going to use one of those templates. Thanks for sharing! Thanks to provide me these nice templates for my blog. it is good templates provided by website. Wow! there are some really nice templates here. I can’t wait to gove them a try! Nice collection… But can every body help me how to use the template after download it?? Sure Dear. Its too simple doing it. Just login to your Blogger Account. there you will find text like “Upload a template from a file on your hard drive:” here you can upload your new template by browsing. Browse and upload you xml file template. You also should save your previous template for further use. are these templates are seo friendly as well. really great templates here. I need a blogger template for my seo business and I found it here. Thanks. excellent collection . I need plain and simple theme i like your 18 and 20 theme for my blog. its really great Template here, but now I’m confuse Witch one I should use. Awesome templates! Thanks so much for taking the time and offering free well done templates. Awesome and best collection ever seen. i just wanna thank you for the free and the beautiful templates provided. Unique template. I want to download one of 120 templates from this website. Thank you can help me to give a lot of unique templates and make my blog into a beautiful blog. Thanks admin for so nice post. hi there, right now i am consider to use one of your templates for adsense. i have a problem here !!! i do not know how to use these templates for my weblog!! its really great Template here, but now I’m confuse Witch one I should use……!! Good collection of themes !! 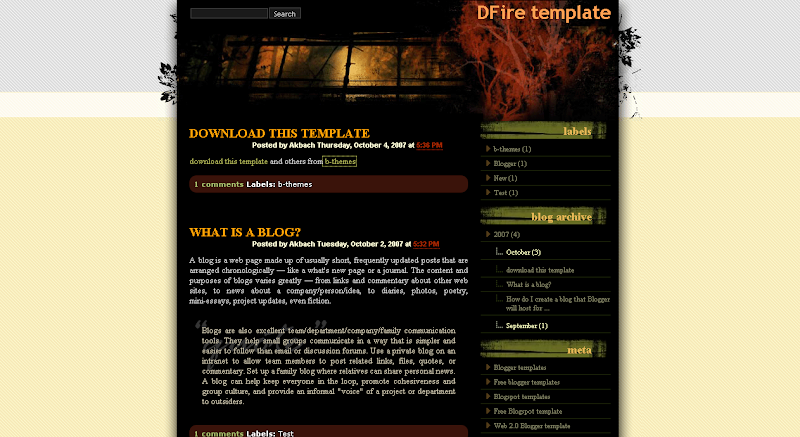 I have also heard about a theme generating software TemplateToaster and found it a good resource for making themes. Awesome collection of beautiful templates, thanks you for sharing with us. Beautiful collection! Thank you so much. Fantastic Template review.Keep up the good work. Great stuff. Keep sharing.